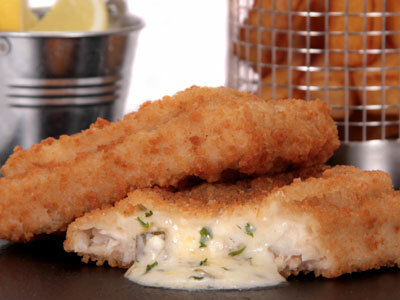 Skinless and boneless Atlantic Cod fillet portion topped with creamy tartare sauce and coated in golden breadcrumbs. 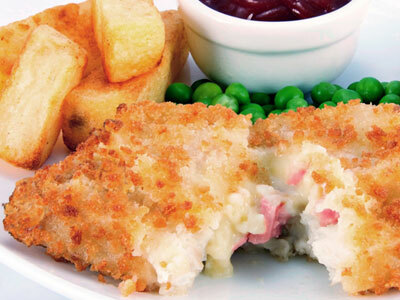 Skinless and boneless Haddock fillet portion topped with cheddar cheese and ham sauce and coated in golden breadcrumbs. 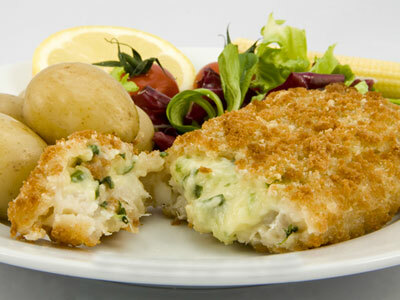 Skinless and boneless Haddock fillet portion topped with cheddar cheese and spinach sauce and coated in golden breadcrumbs. 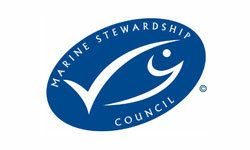 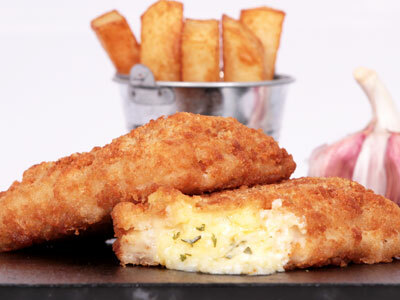 Skinless and boneless Haddock fillet portion topped with garlic butter sauce and coated in golden breadcrumbs. 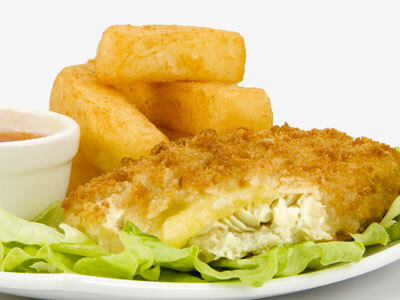 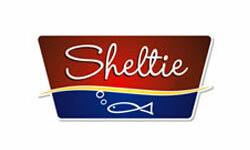 Skinless and boneless Haddock fillet portion topped with a slice of cheddar cheese and coated in golden breadcrumbs. 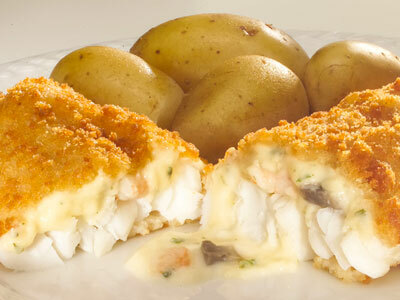 Skinless and boneless haddock fillet topped with a cheddar cheese, prawn and mushroom sauce and coated in golden breadcrumbs. 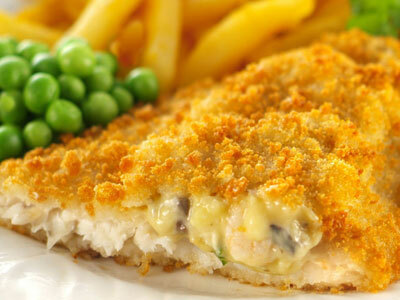 Skinless and boneless paired yellowfin sole fillets topped with a cheddar cheese, prawn and mushroom sauce and coated in golden breadcrumbs.